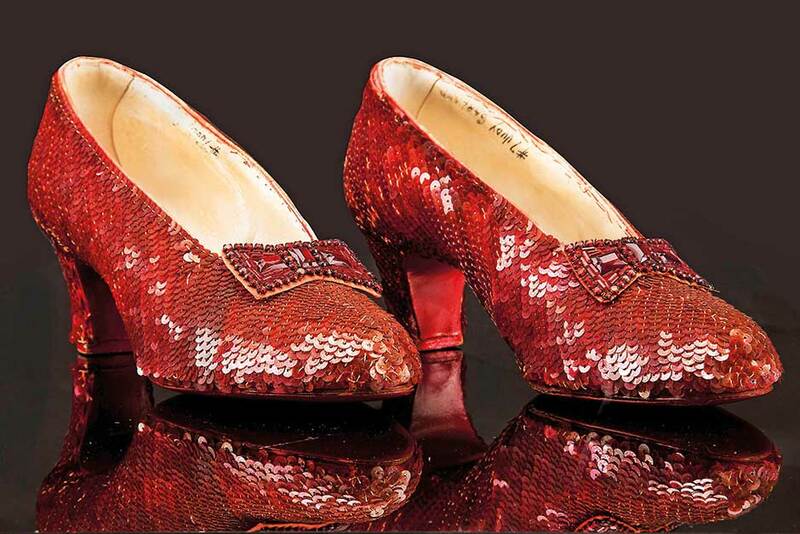 A pair of ruby red slippers, produced for Judy Garland to wear in the Wizard of Oz, have been discovered by police over a decade after they were stolen from the Judy Garland Museum in Grand Rapids, Minneapolis. The discovery ends years of intrigue and scandal surrounding the whereabouts of the shoes. The slippers were recovered during an undercover operation in Minneapolis, the FBI revealed in a press conference today. Their lead came in summer 2017 when an individual approached the company that insured the slippers, claiming he had information about the shoes and how they could be returned. It quickly became clear he was attempting to extort the slippers’ owners and police were contacted. Special agent Christopher Dudley, who led the investigation from the FBI’s Minneapolis division, explained that “our top priority was the safe recovery of the slippers”. He added that multiple suspects have been identified but that law enforcement “are still working to ensure that we have identified all parties involved in both the initial theft and the more recent extortion attempt for their return”. The slippers were loaned to the museum in 2005 by movie memorabilia collector Michael Shaw. The museum suggested to Shaw that they store the slippers in a vault each night. Shaw rejected the offer; he didn’t want people handling the valuable slippers daily and was sure the museum’s general security would suffice. This proved to be a mistake. One morning in August 2005, museum staff found the slippers gone, the case containing them smashed. An alarm had been tripped yet had apparently failed to notify police as it was programmed to do. “The biggest thing that ever happened to our museum was getting the slippers stolen. We were literally crying,” museum co-founder Jon Miner told local station KQDS shortly after the robbery. In the following years, there have been numerous attempts to try and locate the slippers. Police initially offered a $250,000 (Dh918,107) reward for any information leading to their return. Shortly afterwards, an anonymous donor offered a further $1 million for anyone who could provide the location of the slippers and the name of the person that stole them. On numerous occasions volunteers dove into the Tioga Mine Pit, a deep-water lake near the museum, where it was believed a nervous thief may have got rid of the shoes. The museum hired a private investigation firm in 2013 to continue working on the case, although it appears it was the FBI who finally made the breakthrough. Dorothy’s slippers hold a near mythical status in the world of movie memorabilia. There are thought to be as many as seven pairs created for the film and worn by Garland. For a time, most of the pairs belonged to Kent Warner, a movie-lover and eccentric who filled his home with purloined movie memorabilia from his time working in costumes in Hollywood. He was known for screening classic films in his home while parading around in original dresses from the sets. Warner acquired the slippers after he was put in charge of catalouging and preparing an auction of MGM props. He told the studio there was only one pair of slippers and presented them to the auctioneer, before filling a duffel bag with the other pairs and leaving the lot. Warner died in 1984, and quietly attempted to auction most of the pairs in the years before his death. Since then there has been so much mystery surrounding their whereabouts and the owners that they were the subject of a 2008 documentary, The Slippers, by film-maker Morgan White. The shoes stolen from the museum were insured for $1 million. Some believe that Shaw had organised the robbery in order to cash in on the insurance payout. The insurance company, suspecting a fraudulent claim, sued Shaw, the museum and its director, but settled in 2007, with Shaw receiving $800,000.